There has been a lock at Abingdon since 1624. The site of the old lock is a few yards away from the current lock, and is regarded as the oldest surviving lock in Britain, possibly in Europe. The old lock was converted to a weir and is situated at the top of the Swift Ditch, a narrow stream that runs South of Abingdon. 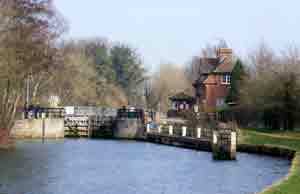 The current lock was built in 1790 by the Thames Conservancy and is fully automated to cope with the water traffic going upstream to Oxford or downstream towards London. It is 120' (36.57m) long and 18'9" (5.71m) wide with a drop of 6'2" (1.89m) and is maintained by the Environment Agency. 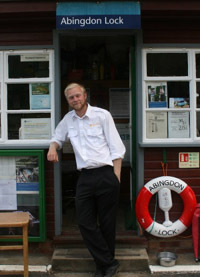 The lock house was built by the Thames Conservancy in 1928 and is still in use for the resident Lock Keeper, who currently is Richard Hawkins. 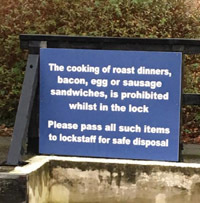 Abingdon is one of the friendliest locks on the Thames. 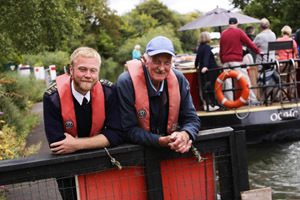 Richard and his assistant, Frank, go out of their way to help boaters and walkers alike. 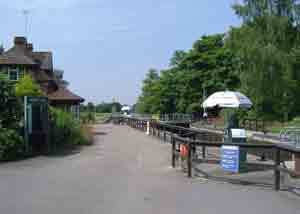 In the summer months you can treat yourself to refreshments from the lock house or one of Lizzie's scrumptious cakes. The lock is vital for boaters, providing drinking water, chemical toilet disposal, sewage pumpout and refuse disposal.